Except for the first one, all of these are ideas I have covered extensively here. It is good to see an automaker start work in these directions. As such while I will mostly agree with what Tesla is saying, there are a few issues to discuss. In my article earlier this year on the future of transit I laid out why transit should mostly be done with smaller (van sized) vehicles, taking ad-hoc trips on dynamic paths, rather than the big-vehicle, fixed-route, fixed-schedule approach taken today. The automation is what makes this happen (especially when you add the ability of single person robocars to do first and last miles.) Making the bus electric can make it greener, though making it run full almost all the time is far more important for that. The same is true for trucks, but both trucks and buses have huge power needs which presents problems for having them be electric. Electric's biggest problem here is the long recharge time, which puts your valuable asset out of service. For trucks, the big win of having a robotruck is that it can drive 24 hours/day, you don't want to take that away by making it electric. This means you want to look into things like battery swap, or perhaps more simply tractor swap. In that case, a truck would pull in to a charging station and disconnect from its trailer, and another tractor that just recharged would grab on and keep it going. You can also do that with a bus, but passengers don't want to swap, so you may swap them out between runs. Here the autonomous ability of the bus is key because it can drive to where the super-powerful recharging is. To recharge a bus you want a lot of power, an amount not available in many locations, and it's costly to bring it in. If the bus comes to where the electricity already is (like transformer substations) it solves that problem. The bus is still down during recharging, of course. The bigger you make the battery, the longer you can run, but unfortunately that also means it costs more, takes longer to recharge, and weighs more, costing efficiency and making it more dangerous. Well, Tesla continues to push autonomy without LIDAR. As the cost of LIDAR drops (Disclosure: I have an equity stake in this business) it will not make sense for anybody to make their vehicle less safe just to save a few hundred dollars. Still, the more competition the merrier, so Tesla's push will at the very least teach the world some things. Once Tesla has a door-to-door vehicle, Musk suggests that it will offer the scenario I first wrote about back in 2007 in A week in robocars -- that when you are not using your car, it might hire itself out as a taxi. Tesla even plans to create a brokering service for this, competing with the Ubers of the world. Since I first began thinking this way, I have actually become less enamoured of the idea, though I do think it will happen. I felt you might do it to help you afford a more expensive car. UberX is in effect your car making money for you, but you have to do the annoying work of driving it. The problem stems from an overimportance I and many others attributed to the problem that cars sit idle most of the time. In the robotaxi world, a larger and larger fraction of cars won't do that, and as rates become competitive, people will think of this as a pure capital business -- you make a capital investment in a car, and it pays a return charging fees to take people around. The more efficient that market gets, the purer it gets, and it becomes dominated by the professionals, not the amateurs. We have seen this happen with AirBNB, which began mostly with people renting out spare rooms and time in their apartments, and has migrated to having a lot more units that are full-time on AirBNB. If you hire out your car a lot, you start losing the values that made you want to own it in the first place -- the ability to keep your stuff in it, to always have it ready for you, the ability to let it get messy, and the ability to impress people with ownership of it. Each transition between users also has a cost. We've seen some turmoil in existing peer-to-peer carshare companies. Turo changed its name from Relayrides and also changed to a more long-term rental model. Our SU students who started Getaround.com are still going with pure P2P though. The counter force comes from people who are paying way more than they should for car ownership who thus have "spare" capacity they might as well sell. That's true, but its value is only the value of the capital. Today, capital is cheap. So cheap that the interest on a $30,000 loan at 4% as you might have for a car is around $3/day or 14 cents/hour. That's the cost of letting your asset sit around doing nothing, and it's not that large. In fact, it might be that parking space costs more than that and is the actual incentive to get it out working. Another big issue with electrics is that if somebody hires your car, and then you want it, it may be discharged and you can't use it. With gasoline, you can always quickly refill. Cars that are hired out will wear out by the mile, not the year. As such, every time it is hired out it's depreciating, and smart people will see that. In the future, we'll see a mix -- people who own, people who own and hire out, people who drop the number of cars they own due to robotaxi services, and people who give up car ownership altogether because of them. I foresee many of each category, but for now the people who hire out are the smallest category. Of course, in the early days, when there are not many robotaxis around, the Teslas will be popular. The one part of the plan that I have trouble with is the idea of combining solar generation with battery storage. Today, that's just a bad idea. Solar panels generate electricity whenever the sun shines on them. If you connect them to batteries, they will charge the batteries, but soon the batteries will get more and more full, and be unable to take the power from the panels. As they get closer to full, you will be simply throwing away all the nice power the panels are generating. And people like their batteries to be full. When you do the economics of a solar panel, it depends on using all the power it makes. If you throw away half the power from your panels, you can quickly turn them from economical and green to silly. That's why you need to tie solar panels to the grid. There, every watt they generate is used, and it's used offsetting the dirty power generation of the grid. 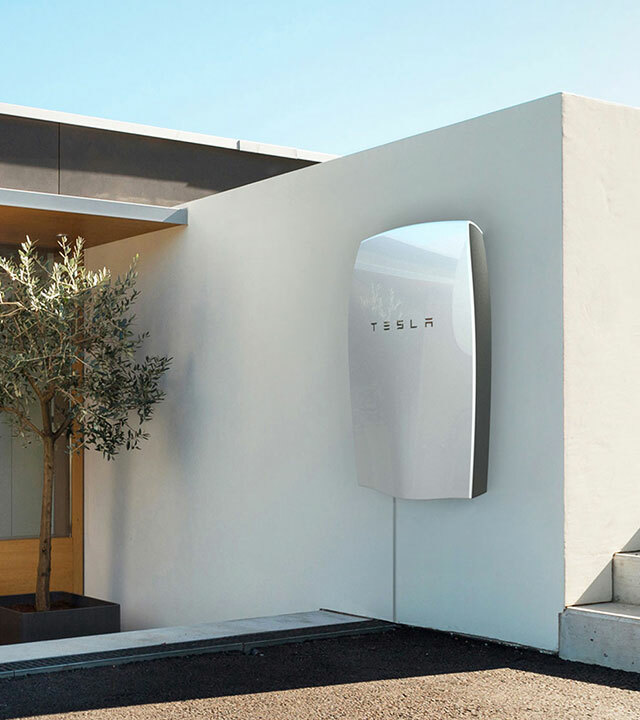 Tesla's powerwall does aim at people who have bad utility contracts. For them, it does make sense to store any surplus from a solar panel system during the day. But that's not a sustainable plan. In a real grid, that would not make sense. What could make sense is buying power at night when it's cheap, and using it by day. In a proper market, you should be able to sell your solar surplus for far more than it costs to refill at night. As such, solar generation and storage are really two different things, and Elon Musk's declaration that they have to be connected does not make sense to me -- except where the market is broken. In time, solar generation is going to go up -- not just at homes but utilities. When that happens, we could get a surplus of solar mid-day, and a shortage as the sun goes down. In that case, batteries at the grid or house level can make sense. I particularly like the point about load factor being more important than energy storage (electric vs fossil fuel) regards overall energy efficiency. Most people I have spoken to have been slow to come round to the realisation that there is more low hanging fruit in applying optimization to the system rather than the vehicle. Oddly enough changes to the vehicle, i.e. the robo car by it's potential cost reductions will speed the optimization. In an ideal world the Powerwall would be of very limited use. The behaviour of utility companies, Nevada and Florida for example, increase the usefulness of them. You mean the fact that they charge more during peak times because they have a limit? That is fairly normal and necessary. No. Some/most utility Cos. want to discourage solar panels. They want to buy back power at very low rates and charge high rates to install 2-way meters. Battery storage allows one to minimize the power going back to the utility and time the power going back to the utility. There are utilities that do this, sometimes because they are dicks, and sometimes because their grid was not designed for large amounts of backwards flow from customers. There, local storage can make sense, though it must still be grid tied storage. However, Musk is talking about the long game here, about what he says is essential for the big plan. For that, what matters is how it should really be, with solar power going to reduce the amount of coal and gas we burn as much as possible, and stored as little as possible. And it does depend where you live. In many places peak daytime power comes from natural gas. In the night, power will come from whatever is the cheapest baseload source, and that can be hydro, nuclear, coal or natural gas. So it will vary a bit what type of power you offset when you feed to the grid or take load off the grid. Putting ever larger batteries in a truck makes no economic or operational sense....they weigh too much, the charge times get ever longer, and supercharging becomes just too many kW/H to get reasonable charge times. It makes more sense to make large trucks Hybrid; this allows you to reduce the carbon footprint by using smaller ICE's or turbines, and reduce the battery size/weight. The battery provides all the peak power needed for acceleration etc, and the engine keeps the batteries charged and can run intermittently. I love the idea of swapping discharged truck-tractors for full ones to keep freight moving. That's really the way the Pony Express worked. The rider and the mail kept moving by changing horses regularly so the horses could re-charge. The catch is that it requires a larger fleet than fossil fuel. My family frequently has occasion to drive I-80 over Donner Pass. As we are regularly stuck behind trucks struggling to pass each other at below-freeway speeds, we keep looking at the rail line through the pass. Has anyone explored rail-road integration similar to what Europe has with roll-on/roll-off ferries? Trucks cost a lot more than rail, but they get cargo there a lot faster and more flexibly. But once you start going to rail it's going to slow you down. Though of course a specially scheduled trip where somebody is waiting at the other end could fix that, unless the containers have to come off one at a time. Typo or am I just not understand? Excellent article but I'm unclear about one part. "Unfortunately, solar panels’ best attribute is they generate their power in the day, when power is expensive." "Of course, you can have solar panels and batteries connected to the grid. You can use the batteries to store power when it’s cheap, and use it when it’s more expensive. Fortunately, solar panels’ best attribute is they generate their power in the day, when power is expensive. However with robocars this may not be what you want. The most expensive time is mid to late afternoon..."
What I am saying is that batteries serve you best if you put power in when power is cheap, and take it out when power is expensive. It costs money to put power in and out of batteries. Estimates for the Tesla powerwall suggest about 13 cents/kwh to do this. So it's a terrible use of batteries to put power into them during the day, when you could have sold that power for a high price, just to pull it out at night when power is cheap. In fact, the night price of power on the spot market is quite low, well below the 13 cent/kwh price of using the battery, so you are actually better off, economically (not ecologically) discarding your solar power and buying it for 7 cents from the grid, rather than storing it and using 13 cents of lifetime of your battery to get it out at night. For a home grid storage system, the ideal would be one that stores the power at night, and pulls it out during the day when it's expensive to buy it from the grid. If you have solar, your plan should be to use that solar, or sell it to the grid if the grid will buy it at the market price. Use it to run your air conditioner etc. As the price of panels and batteries changes, this math will change.